Farmers in the Mekong Delta were prompted by the government to grow more high quality rice, but now are finding it difficult to sell their stock with most traders and businesses opting to buy low quality rice variety from the winter-spring crop. The Mekong Delta has harvested 50 percent of 1.55 million hectares of winter-spring rice but farmers have found it easier to sell low quality rice but not high quality variety. Phan Van Hien, a farmer from Tan Hiep District in Kien Giang Province, said that this year they switched to cultivating high quality rice but now cannot sell it despite low prices. Nguyen Thi Nam, a farmer from Long My District in Hau Giang Province, said that she has harvested two hectares of high quality rice but traders are paying only VND4,600 a kilogram, while low quality rice is fetching VND4,500 a kilogram. The price of high quality rice is VND800-1,000 lower than it was in the same period last year. 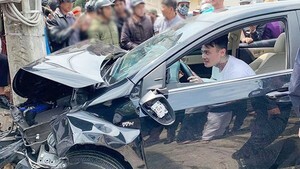 The situation is the same in Tan Hong District in Dong Thap Province and Vinh Thanh and Co Do Districts in Can Tho City. Nguyen Minh Nghia, deputy director of the Department of Agriculture and Rural Development in Tan Hiep District of Kien Giang Province, said that several farmers now regret following provincial policy to grow high quality rice, and are now unable to sell and recover profits. According to Duong Nghia Quoc, director of the Department of Agriculture and Rural Development in Dong Thap Province, sometimes traders and Vietnam Food Association refuse to buy low quality rice but sometimes they prefer purchasing this variety to high quality rice. This inconsistency has brought losses to farmers. 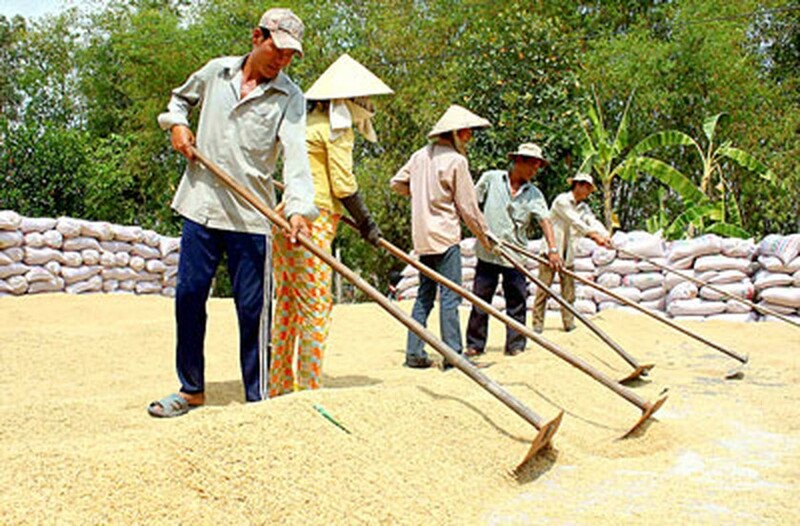 Nguyen Minh Nhi, former chairman of the People’s Committee in An Giang Province, said that the provincial agriculture industry has warned famers against cultivating the IR 50504 rice variety. However there is no new variety with higher productivity, lower cost and better resistance to insects and disease like this variety. Businesses still buy IR 50404 rice variety to mix with high quality rice for export. They even process this rice into ten percent broken rice for export, but they only buy this variety as per need. Le Van Banh, head of the Rice Research Institute in the Mekong Delta, said that to deal with the above paradox, the Government should have a long-term rice stockpiling policy, not just for short-term as at present. Provincial authorities should set up warehousing facilities to be able to stockpile more rice and increase from present two million tons to 4-5 million tons in the near future.